We are going to keep the Dynasty Football theme going here at TDF. This article is going to highlight the best dynasty player on each NFL team. The combination of production, opportunity, and age will come into factor. Also looking at positional drop-off is a key here. I might surprise some of you, so let’s get to it. Los Angeles Chargers: Melvin Gordon, RB– One of the more polarizing players in dynasty. Gordon is a great talent at the position and is a stud when he is on the field. The problem is, he gets injured very often and doesn’t have as much shelf life as other players in the same tier. Still, the reward outweighs the risk, especially at the running back position. Los Angeles Rams: Todd Gurley, RB– A slow finish to the 2018 season has Gurley down a couple of spots on the overall board, but do not overthink this. Todd Gurley is a beast. Yeah, I saw the report of his “knee issue” but the guy has had knee issues since his days at UGA. The bottom line is, Todd Gurley is a top 3 fantasy running back when healthy. Miami Dolphins: Kenyan Drake, RB– Drake is the best bet on this team. Still only 25, he has had some great flashes in the NFL thus far. While he has been limited by scheme and injuries, Drake is a good back when he has the ball. Is this the year we see the Dolphins commit and give him the touches he needs? Minnesota Vikings: Stefon Diggs, WR- I went with Diggs over Cook because of durability. Yes, the both have had their fair share of injures. However, last year Diggs turned in a great season and managed to stay healthy. On the other hand, Cook was injured for most of the year. Diggs has great talent at the position and while he is only 25, he could be a WR1 for years to come. New England Patriots: Sony Michel, RB– Michel had a interesting rookie year, when on the field, he showed why he was a first round pick. The only problem with Michel is durability. If he can stay healthy, the 24 year old could reach double digit touchdowns on a yearly basis in this offense. New Orleans Saints: Alvin Kamara, RB– One of the top tier running backs, Kamara should be a dynasty stud for years to come. I actually love the fact that the Saints are trying to not overwork Kamara. He is extremely efficient with his touches and has been very durable since coming into the league, why fix what isn’t broken? New York Giants: Saquon Barkley, RB– The best overall dynasty player hands down. Barkley is an absolute stud both in real life and in fantasy. He will be the focal point of the Giants’ offense for the next 6 years and barring any injures, should be competing for the top overall ranking every year. New York Jets: Le’veon Bell, RB– Sitting a year out might have done wonders for Bell. He gains some shelf life, after handling an astonishing amount of touches in Pittsburg. He now steps into a big role in a promising young offense. While he might not see as much scoring opportunities, Bell is an elite running back and will produce when on the field. Oakland Raiders: Antonio Brown, WR– A new team and new offense, will that be enough to throw AB off? Time will tell but as of right now, trust the previous production. Brown is still the number one wideout and will again be a target hog, considering how productive he is and that he is still in his prime, you have to be confident from another strong campaign. Philadelphia Eagles: Zach Ertz, TE– The only other tight end to make my list besides Travis Kelce. Just like Kelce, Ertz is in a whole tier of himself when it comes to tight ends. He is extremely valuable in PPR formats and will continue to see heavy volume for years to come. Pittsburg Steelers: JuJu Smith-Schuster, WR– With the department of Antonio Brown, JuJu is now firmly in the top 6 dynasty players to own. He put up staggering numbers in 2018, and will see increased targets from now on. Also, the dude is only 22. San Francisco 49ers: Tevin Coleman, RB– Yes, I know George Kittle is a stud, but I would rather have Coleman. Positional value is important, and running backs are the most valuable asset in fantasy football. Coleman signed a big deal with the 49ers and should have a prominent role in this offense. Considering his versatility and schematic fit, Coleman can be in for a big year. Seattle Seahawks: Rashaad Penny, RB– Will Seattle run a committee for Penny’s entire career? It remains to be seen, but I have to have faith that Penny will get workhorse duties after being taken in the first round. A very talented rusher, if Penny can find his way to lead ball carrier, you have a great running back with top 10 upside. People forget last year he was a rookie. 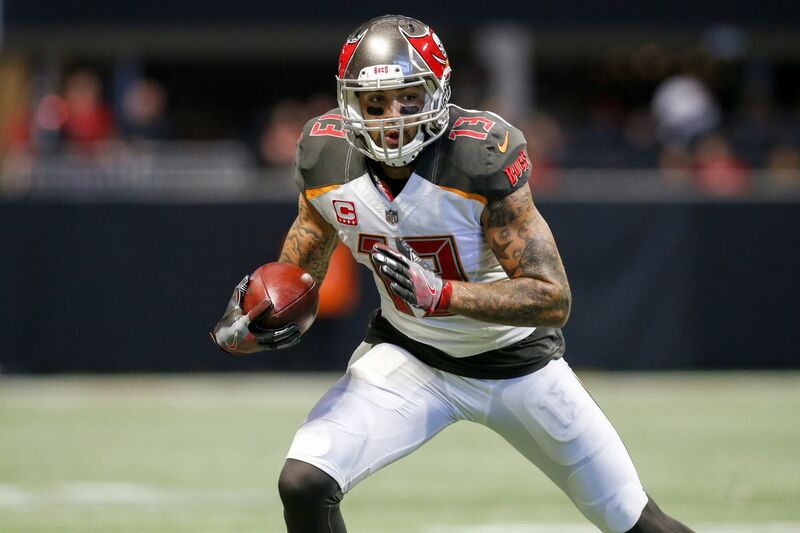 Tampa Bay Buccaneers: Mike Evans, WR– One of the top 5 dynasty wideouts, Evans has been a gem since entering the league in 2014. Posting 1000 yards every year and with a ceiling of double digit touchdowns, there aren’t many safer options out there than Mike Evans. Tennessee Titans: Corey Davis, WR– I will take Davis over Derrick Henry. I do not believe in Henry’s talent as much as Davis’s. Some injuries and inconsistency from scheme has held Davis back. With a healthy Mariota and new offensive coordinator, hopefully 2019 is the season Davis turns that massive target share into fantasy production. Washington Redskins: Derrius Guice, RB– After injuring his ACL in 2018, Guice will basically enter 2019 as a rookie. Considering the lackluster offense in Washington, he should earn lead ball duties soon. Based on his college tape, Guice offers some great upside in what should be a volume heavy role. Next Julian Edelman: How Much Has His Value Increased?